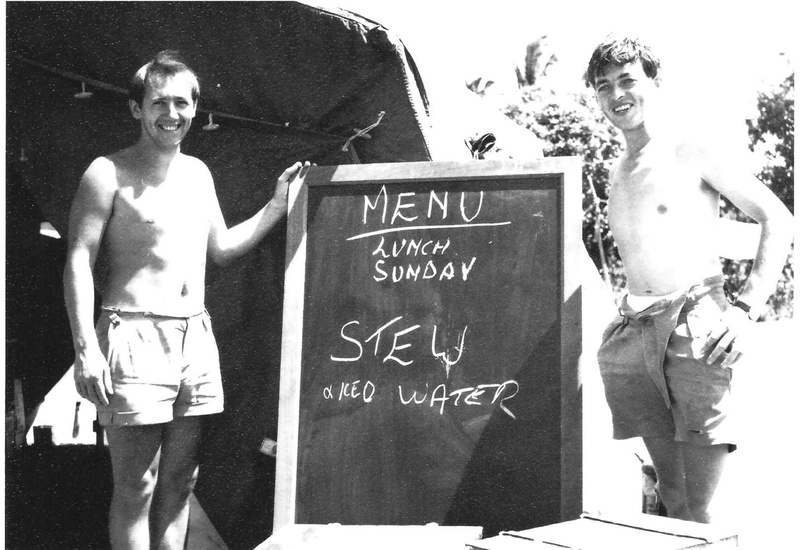 Sunday lunch menu on detachment. One of the unit cooks on left of pic. John Barry.